Warranty: worry-free 18-month warranty, and friendly customer service. Compatible with 12'' 2015 MacBook (USB-C cable required), iPhone XS / XS Max / XR, Android smartphones and tables (including the Nexus 7), and other USB-charged devices except for the iPod nano, iPod Classic, HP TouchPad, Dell Venue 11 Pro, Asus tablets, and some GPS and Bluetooth devices. In order to reach the best performance, use a 5V/2A AC adapter and original cable of the devices to charge. High-speed Charging Input: 5V/2A, can be fully charged in about 5-8 hours. Output: 2. 4A Output for each 2 USB port, make it charge 1. 4X faster than standard charger Note: Not support Qualcomm QC 2. 0 / 3. 0 function. So QC design phones like Samsung S8, S7, S6, Note 5 can charge at regular maximum speed but not QC mode. 3 Charges for iPhone 8 10000mAh capacity charger is more than enough for all day trip which can fully charge your iPhone 8 for 3 times. Perfect for flights, traveling, business trips and no worry about out of battery anymore. Two USB ports design 2 USB ports allow you to charge your two devices simultaneously. Share it with your companion anywhere and be relieved from heavy luggage when going out. Cool LED Flashlight Press the power button twice rapidly to turn on/off the LED flashlight. Perfect design for camping, travel, business trip and more. It will be a real help in an emergency. Multipotent Safety System Intelligent power manage IC protects your devices against over-charged, over-discharged, over-voltage, over-current and short circuit charging accidents. Package Includes 1 x ; 10000mAh Power Bank 1 x USB Charge Cable (recharge for power bank itself) 1 x Protective bag 1 x User Manual ( No adapter included) Warm Tip 1. INIU Smart IC Detects your device to deliver its fastest charging speed (2. 4A Max) but not support Quick Charge 2. 0 & 3. 0. So Quick Charge Design models like Samsung S8, S7, S7 Edge, Note 5 can charge at maximum regular speed but not Quick Charge. 2. The power bank is not suitable for small current (less than 0. 1A) charging devices like Bluetooth earphone and high input (over 5V) charging devices. Warranty: 30-Day Money Back Guaranteed, 3-Year Warranty and Lifetime Technical Support. Get freedom from your wall for over a week. PowerCore 26800 provides almost 10 iPhone 8 charges, 6.5 Samsung Galaxy S8 charges or multiple charges for almost all tablets and other USB devices. Anker's exclusive PowerIQ and VoltageBoost technologies combine to ensure the fastest possible charge for all non-Quick Charge devices-includes all Apple phones & tablets and most Android devices. With dual input ports and a max input of 4A, a full charge takes just over 6 hours-twice as fast as a standard portable charger. Recharge for a night; charge for an entire week. PowerCore 5000 utilizes two different high-speed charging technologies. PowerIQ provides the fastest possible charge to any device up to 2A. VoltageBoost increases output to overcome cable resistance and ensure a consistent top-speed charge. 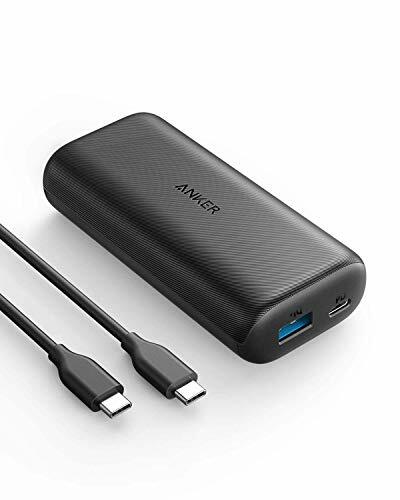 Compatible with most USB-charged devices, including iPhone 8 / X / XS / XS Max / XR (Lightning cable required), Android smartphones and tablets (including the Nexus 7). Rated capacity is the minimum charge capacity after factoring energy loss while charging. Based on standard laboratory conditions, our rated capacity is more than 60% of total cell capacity, which is higher than average. 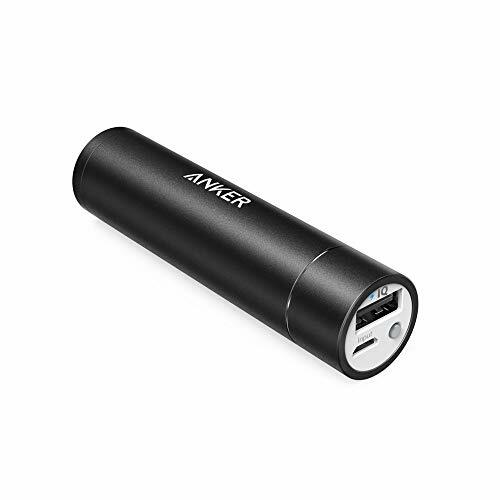 Anker PowerCore+ mini The often copied but never equalled lipstick-shaped portable charger is now better than ever. Same Size, Better Performance The original lipstick tube design. Now upgraded with premium quality battery cells to ensure superior performance and safety. PowerIQ Intelligent high-speed charging for all your devices. Convenient LED Indicator Light lets you know how much juice is left. MultiProtect Safety System Surge protection, short circuit protection and premium LG battery cells keep you and your devices safe. World Famous Warranty At Anker, we believe in our products. That's why we back them all with an 18-month warranty and provide friendly, easy-to-reach support. smartphones and tablets (including the Nexus 7). To enable USB-A output, press the button below the output before connecting your device. The rated capacity (minimum output) is 2010mAh. Ultra Compact: Our original lipstick-shaped aluminum design (3.7 0.9 0.9in, 3oz). Recharges in 3-4 hours with a 1 amp adapter (not included) and the included Micro USB cable. 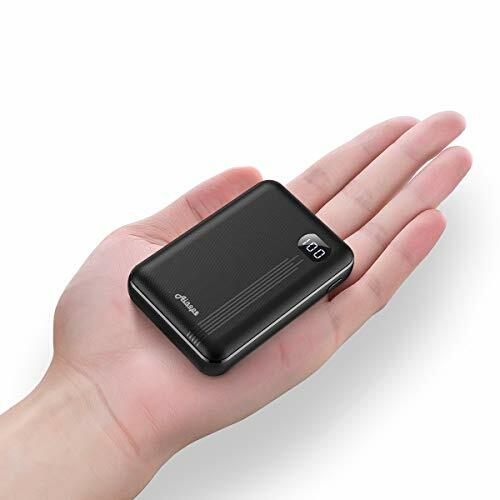 [Almost World's Smallest]: Ainope 10000mAh portable charger is more lightweight (Weight decreased by 25%) and smaller (Volume decreased by 30%) than other chargers on the market. The phone will be charged as soon as it is connected with the power bank. Supports charging while discharging, you can charge your phone with this portable power bank when the power battery is being charged. [Compact and Large Capacity]: (10000mAh)- which can provide 3.6 charges for iPhone 7, 2.6 charges for iPhone X, 2.3 charges for Galaxy S9 and 1.4 charges for iPad Mini. You can put it into your pocket or backpack with ease. 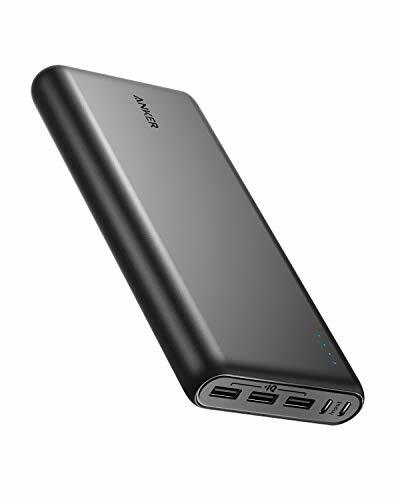 No matter you are out for camping or business, you will find the portable power bank is a lifesaver if the phone battery dead during the travel. [Accurate LCD Power Display] With the exact and clear LCD power display, you will know the accurately available power even every 1% rather than vaguely indicated by a row of LED lights, to convenient for you to recharge your power bank in time. [Dual USB Outputs]: 2A input (Please don't use a 5V/1A adapter to recharge this portable charger, or it will be very slow), 3.1A Output, the dual USB Output ports support charge two devices simultaneously. [Certified Safety (UL Certification)] AINOPE's multi-protection system and premium li-polymer battery cells ensure a full protection for your device. This iPhone external battery pack is compatible with some low input devices (e.g. Smart Watches, some Bluetooth Headsets and GPS devices). [What You Get]: 365-Day MONEY BACK GUARANTEE (If the Amazon return window is closed, please contact our customer service directly) and LIFETIME friendly customer service. 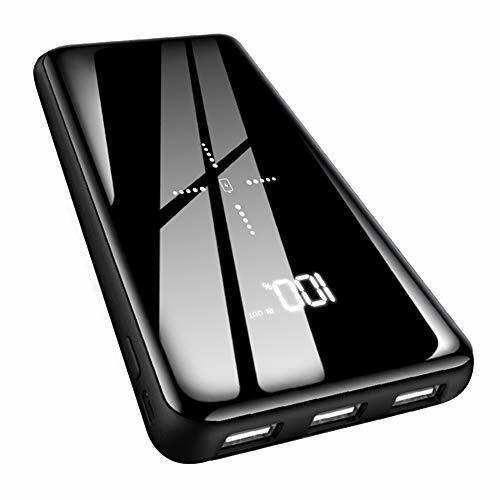 PACKAGE: 1*Ainope 10000mAh Power Bank, 1*Micro USB charging cable, 1*User Guide. In such a compact package, but enough power to keep you going for all day trip. Perfect for flights, traveling, business trips, or any time you're away from an outlet. Ultra Slim (6 x 3 x 0.37 inches) and light weight (7.04ounces) design make it comfortable to hold and handy to slip into a backpack or your pocket. Turn on/off the LED flashlight by double click the power button. Perfect for camping, travel, business trip and more. It will be good help in an emergency. Protect your devices against over-charged, over-discharged, over-voltage, over-current and short circuit charging accidents. We won t let our customer waste their money. GETIHU Smart IC Detects your device to deliver its fastest charge speed (maximum 2.1A). But not support QC 2.0 / 3.0 function. So QC 2.0 / 3.0 Design models like Samsung S7 / S6 / Note 5 can charge at maximum regular speed but not QC 2.0 / 3.0 speed. Click "Add to Cart" above to get your portable charger today! 1. Slim & Compact: 10000mAh capacity is more than enough for all day trip which can fully charge your iPhone 8 three times iPhone charging cable not included . Thickness as iPhone, you can put it in your backpack or pocket wherever you go. 2. Two USB ports & Charging Fast: GETIHU Smart IC and dual USB output ports (2.1A and 1A) allow for charging your iPhone and iPad simultaneously and 1.4X faster than standard charger. Not support Qualcomm QC 2.0 / 3.0 function. So QC 2.0/3.0 design phones like Samsung S9, Note 9 can't charge at QC mode. 3. Cool LED Flashlight: Turn on/off the LED flashlight by double click the power button. Perfect for camping, travel, business trip and more. It will be good help in an emergency. 4. Safety to Charge: Intelligent power manage IC protect your devices against over-charged, over-discharged, over-voltage, over-current and short circuit charging accidents. 5. Warranty: We offer hassle-free after-sale services: 30-Day money back guarantee, 3-Year warranty, Lifetime technical supports. We won't let our customer waste their money. Dual 5V/3A USB ports with PowerIQ technology offer faster charging speeds for phones and tablets. The USB-C port offers total Power Delivery support, charging compatible devices such as MacBook (C-to-Lightning cable required for iPhone 8). 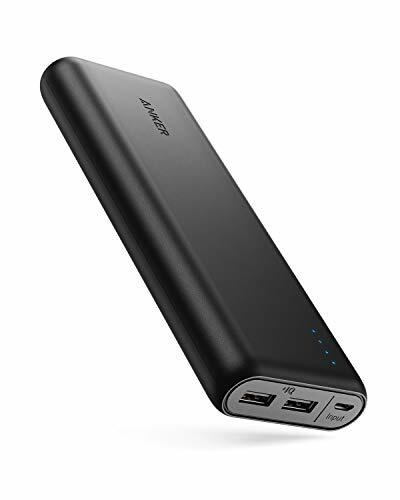 26,800mAh is enough to keep your phones and tablets charged for a week or give your USB-C laptop over 1 full charge. 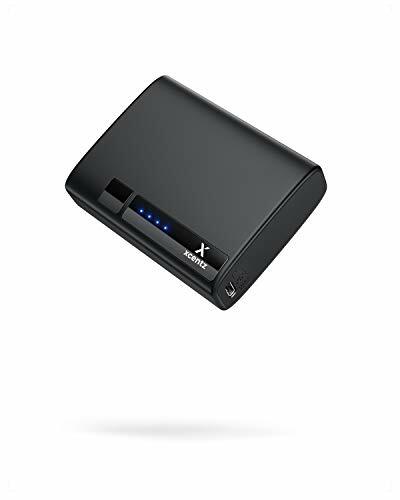 - Compatible with USB-C MacBooks / iPad, iPhone 8 / X / XS / XR (Lightning cable required), Android smartphones and tablets (including the Nexus 7), and other USB-charged devices. - Incompatible with HTC 10, HP Spectre, Dell XPS series laptop, Dell Venue series laptop, Asus series laptops / tablets, as well as Lenovo ThinkPad 470s and ThinkPad X1 tablets. Some USB-C laptops which require an input over 30W may not be compatible. 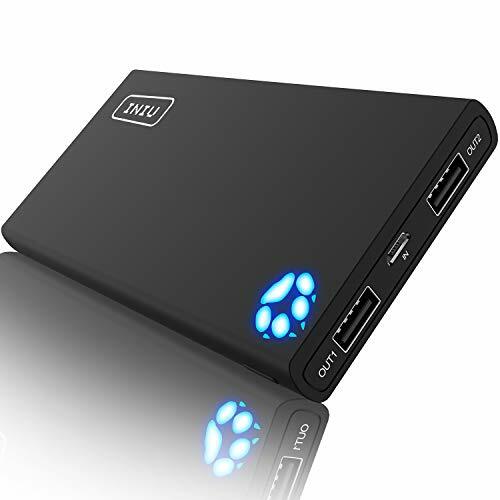 - Does not support high-speed charging for MacBook Pro, Samsung W700, Lumia 950, or Motorola Z Force Droid Edition. - Nintendo Switch will not charge when connected via HDMI. Keep your smartphones and tablets charged for days on end without every searching for a wall socket! Whether you're at work, at the park, or on an adventure in the mountains, it absolutely stinks when your smartphone or tablet runs out of battery power and you're stuck without a connection to your friends and family. But thanks to the powerful Crave PowerPack Portable External Battery Charger, you can stay on the go and keep your devices fully charged for days on end without ever having to reach for a wall socket. Portable, compact and lightweight, the Crave PowerPack Portable Battery Charger offers universal compatibility with all your favorite smartphones, tablets and mobile devices. Whether you need a external battery power bank for your Samsung Galaxy or the best battery charger for your iPhone 6, our external battery charger will extend the power of each and every one of your devices, so you never have to slow down, be without contact or miss out on sports scores. WHAT DOES IT WORK WITH? : Compatible with most Laptops & Notebooks (Make sure your laptop charger draws under 5 Amps, Auto Shutoff above 5 amps) Please check your adapter size and compatibility PRIOR to purchase if unsure. COMPACT & PORTABLE: Our external battery charger is not only powerful, it fits conveniently in your bag, suitcase or purse. Tightly packaged under 3 pounds, you can take it wherever you go and never run out of power. You never have to stop for an outlet again! When your smartphone, tablet or laptop start losing charge, just pull your Crave PowerPack battery charger out of your bag and recharge it in no time. BLAZING CHARGE TIME: At 50000mah, you can charge your devices to full capacity quickly and efficiently. Not only that, but each fully-charged Crave PowerPack power bank can charge your smartphone from 0-100% battery power up to 15 times! PORT COMPATIBILITY: 1 20V/3 Amp Port for Laptops, 1 12v/2.5 Amp Port for Camera a misc, 2 5v/2.1 Amp USB Ports For Tablets & 2 5v/1.0 Amp Ports for SmartPhones and misc. 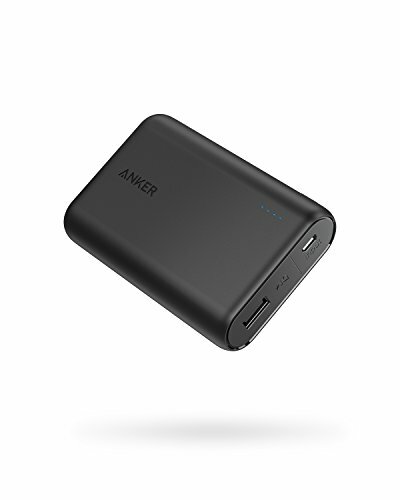 Power up USB-C mobile devices at full speed with the 18W Power Delivery port, or juice up via 10W USB-A with Anker's signature charging technology, PowerIQ. Other portable chargers may fail to detect and deliver the tiny power requirements of small devices and wearables. PowerCore has Trickle-Charging Mode to ensure a fast and safe charge for every device, no matter the size. -Will charge Nintendo Switch but does not support "Charge-and-Play" in TV mode. -Incompatible with HTC 10, HP Spectre, Dell XPS series laptop, Dell Venue series laptop, Asus series laptops / tablets, as well as Lenovo ThinkPad 470s and ThinkPad X1 tablets. Huawei Matebooks, Mi books. Some USB-C devices which require an input over 18W may not be compatible. -Use Power Delivery Charger (not included) for quick recharge in 3.5 hours or recharge time will be 9 hours. -The rated capacity printed on the bottom of the product is different from the cell capacity (the capacity of the battery cells: 10000mAh). -Not compatible with Anker PowerPort PD 1, Anker PowerPort PD 2, or Anker PowerPort Atom PD 1. Whether you're at work, at the park, or on an adventure in the mountains, it absolutely stinks when your smartphone or tablet runs out of battery power and you're stuck without a connection to your friends and family. 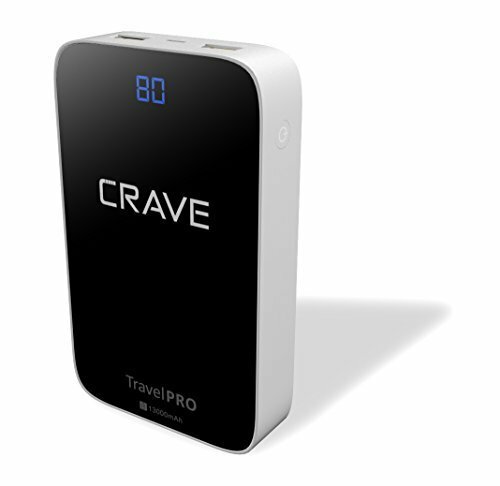 But thanks to the powerful Crave Portable External Battery Charger, you can stay on the go and keep your devices fully charged for days on end without ever having to reach for a wall socket. Portable, compact and lightweight, the Crave Portable Battery Charger offers universal compatibility with all your favorite smartphones, tablets and mobile devices. Whether you need a external battery power bank for your Samsung Galaxy or the best battery charger for your iPhone 6, our external battery charger will extend the power of each and every one of your devices, so you never have to slow down, be without contact or miss out on sports scores. COMPACT & PORTABLE: Our external battery charger is not only powerful, it fits in the palm of your hand, your pocket, or your purse. Small and lightweight, you can take it wherever you go and never run out of power. BLAZING CHARGE TIME: At 13000mah, you can charge your devices to full quickly and efficiently. Not only that, but each fully-charged Carve power bank can charge your smartphone from 0-100% battery power 4 times! INCLUDES 18-MONTH WARRANTY: Our portable charger comes with an 18-month warranty that covers faulty batteries, charging problems, and internal issues. 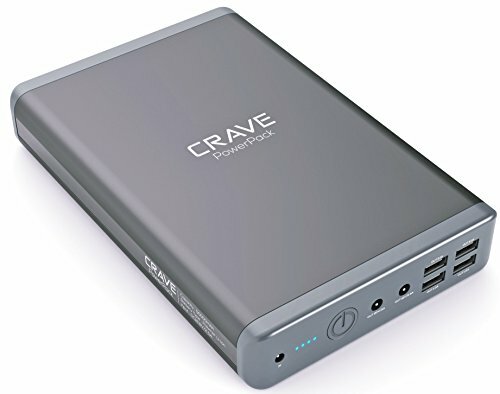 UNIVERSAL COMPATIBILITY: The Crave Portable External Battery Charger works with today's popular brands, including iPhones and iPods, Samsung, HTC, LG, and Android devices. It also works with your GoPro and tablets! Not all external battery chargers are created equal. Some chargers are just better than others. And one battery pack with built-in lightning and micro cables is just the best, bar none. That is Jackery Bolt! Your iPhone and other mobile devices will love you because of your Bolt! Built-in Apple Lightning Cable & Micro-USB Cable Say goodbye to cable mess with a built-in Apple Lighting cable for iPhones, a built-in micro-USB cable for other mobile devices. Now you can charge your iPhone & mobile devices without having to bring extra charging cables. Freedom, convenience, and extra pocket space, yay! Fast Charging, Time-Saving At up to maximum output of 2.4A Jackery Bolt allows you quickly charge your mobile devices anywhere anytime. Following the footsteps of its popular brother Jackery Bar, the Jackery Bolt has the Jackery signature aluminum surface, is stylish and elegantly designed to fit in your pocket. Seamlessly pack the 6000 mAh of power into your mobile life, without getting tangled by all the extra cables or heavy weights in your pocket. In order to avoid the unfitness with your particular case, it is better to take off the case of a thick cover before inserting the cable to the port. At Jackery, we provide an 24-months warranty and customer-friendly support. Rocket Fast iPhone Charger: built-in cable enables super fast charging for all iPhones, TWICE as Fast as iPhone original charger with original cable; no more long and bothering charging time. 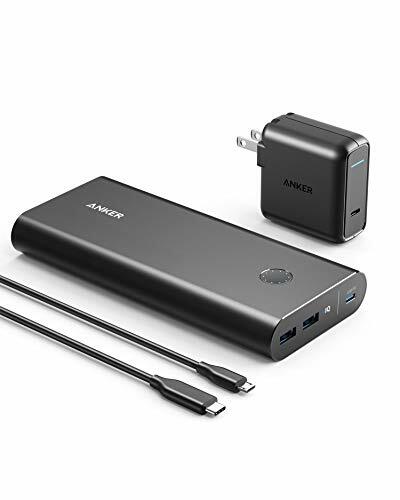 WHAT YOU GET: 1 Jackery Bolt 6000mAh portable charger, 1 Micro USB charging Cable (charging adapter not included), 1 User Guide, 1 Thank You Card. 24-month product warranty and 7 24 hrs friendly customer service. Portable handheld size (0.78*5.4*2 inches) but high capacity: 10000mAh Power Bank, more stable more easy to take. Double USB Port (2Amp+1Amp Output), you can freely charge of your iPhone iPad Samsung Galaxy HTC and more devices at the same time now. Combined perfectly power bank and backup flashlight, you can easy to use them both on camping, hiking and so on. Easy to use - Press ON/OFF button by twice to open it, and press button twice again you can close it. All products from AIBOCN provide 30 days money back and ONE year limited warranty. There is protective film on black area of the power bank, you can easy to remove it. The protective film will not influence your using even if you do not remove it. 100% customer satisfaction, 30 days worry-free money back with One Year limited warranty. 25000mAh is HUGE capacity which supports your phone with multiple charges easily. An essential item when you go on your trip or any outdoor activities. 2 Input Ports : Micro-USB Port and Type-C Port, Supports using any Android or Type-C cord. 2 Output Ports: Charging 2 Devices at the same time without any trouble. A MUST BUY product for you. -Especially nowadays many have both work phone and home phone and then this product serve everyone's need well. Full LCD Design: Catch information like remaining power and Input/Output voltage,etc. Full LCD design is nothing but coolest. Easy to operate: Only one power button needed to be press when the information of LCD needed to be seen. Charge Devices: Use your own cord to connect devices with KENRUIPU power bank then charging will automatically begin. Self-charging: Use the cord that came in box or Type-C cord connecting power bank to power outlet.Recharging will start automatically as well. No matter what you need from us, please kindly contact and we would help you at once. We promise replying every message from customer in 24 hours! Thank you for choosing KENRUIPU POWER BANK. 1. 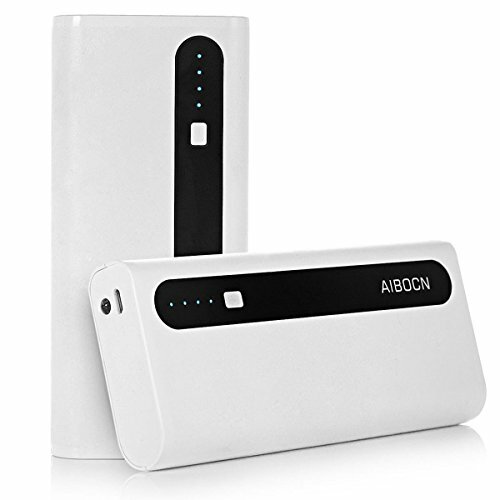 25000mAh Power Bank : 25000mAh power bank in a smaller size and lighter weight charges phone and any other devices multiple times.A MUST HAVE product for business people or traveler. 2. Type-C and Micro-USB Input Portable Charger :Dual Input options for you to choose according to the current occasion.Type-c and Micro-usb port are both available. 3. 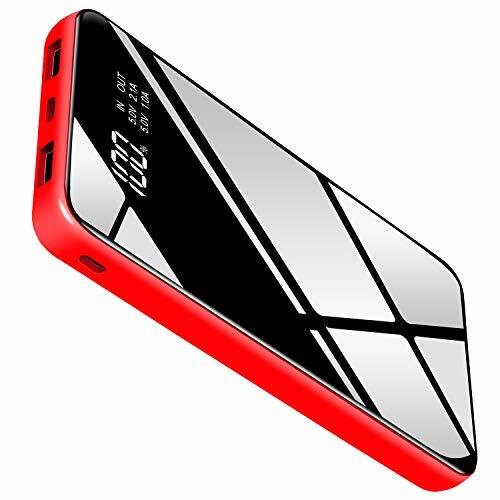 Battery Pack With Full LCD Design : Tell the remaining power all the time with mirror-like look and cellphone size. 4. Power Pack's Smart Protection Technology :Power Pack equips smart protection system,over charging,over voltage,over current,making charging safer. 5. Warranty Of Backup Battery : 24 months.Any problems please feel free to contact us.Package Including: Power Bank,USB Cord,User Manual,Storage Bag,After-Sales Card. Professional power bank manufacturer,committed to providing the best travel charging solution and have an experienced design team. Fast, safe, mini, durable. MAKE CHARGING SAFER AND FASTER NOW! 1.Amazing small size 138 x 69 x 23 mm", make it easy to put it in your pocket or back pack suit for travel and outdoor activities. 2.LED power Display can let you know the real time power on the LED display screen. 3.2A fast charging, charging 50% than the traditional charging. 4.Dual USB charging ports, charge two devices at the same time. 5.To preserve battery lifespan, use and recharge at least once every 4 months. 6.Do not charge your cellphone when the power bank is charging! Ruipu products are covered by an 24-month limited warranty from the date of purchase.If any problem occurs, please contact our support team. 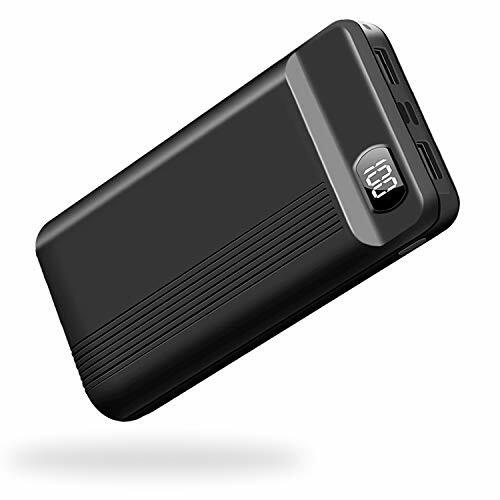 High CAPACITY POWER BANK Big capacity 26800 mAh external battery, smaller and lighter,easy to carry can charge your smart phones almost seven times, the Galaxy S8 six times . LCD DIGITAL DISPLAY The portable charger is equipped with LCD digital screen, show remaining power in digital format for you convenient to know when the charger is fully charged and how much power is available. ULTRA FAST CHARGING Upgrade charging chip makes charging fast,it will take about 10 hours to charge it fully if you use original cable or adapter (5V,2A), come with two USB ports, 2A output current, you can charge 2 devices at the same time, saving your time. SMART PROTECTION TECHNOLOGY The power bank is with advanced smart protection system, over charging, over voltage, over current, over heating and short circuit protection, making your charging safer. NO RISK PURCHASE 100% high quality and satisfaction guarantee, 24 months warranty. Friendly customer service support, feel free to contact us if you have any problems with our power bank. 1. You can Charge Up to 4 Devices Simultaneously : 3*Wired charging + 1*Wireless charging. 2. No need to take more cable on your trip save your limited Space. 3. Beautiful and Simple,an excellent and unique gifts. 4. Perfect battery pack for everyday use,travel,camping or hiking, emergencies, commuters and families. Wireless Charger and Power Bank Design: This battery charger is a combination of a fast wireless charger pad and a portable mobile power supply for fast charging of the devices you need to charge. 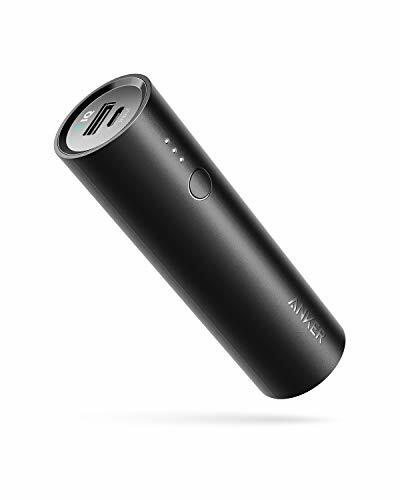 Portable Charger with Dual Input & 3 Output: The portable power bank can recharge with an cord either Android phones or iPhone about 9-10 hours thanks to the 2.4 amp input. 3 outputs (5V / 2.4A)which allows charge 3 devices simultaneously. Warranty Of Backup Battery: 24 months quality assurance. Quick customer service, answer and solve all your concerns about the product within 24 hours. Package Including: Power Bank,USB Cord,User Manual. Xcentz, a new American innovative brand. At Xcentz, we make product that s customer-driven and easy to understand. Our product is made to last and that is why we offer an industry-leading 24-month, no-questions-asked warranty. Please feel free to contact us and we will give you a satisfied solution within 24 hours. For Optimal Use, please use the original Apple USB-C to Lightning Cable or MFi certified cable (Not included) to charge Apple devices. We strongly recommend using the qualified USB-C wall charger (Not included) to recharge xWingMan Dual 10000mAh PD for saving time. Incompatible with HTC 10, HP Specter, Dell XPS series laptop, Dell Venue series laptop, Asus series laptops / tablets, as well as Lenovo ThinkPad 470s and ThinkPad X1 tablets. Some USB-C laptops which require an input over 18W may not be compatible. Nintendo Switch will not charge when connected via HDMI. Not compatible with devices with an input below 50mA (e.g. Smart Watches, some Bluetooth Headsets and GPS devices). Charge On the Go: smaller than a credit card and light as a baseball. Fits perfectly in your palm, pocket and purse. Best choice for traveler and those who don't like bulky battery charger. 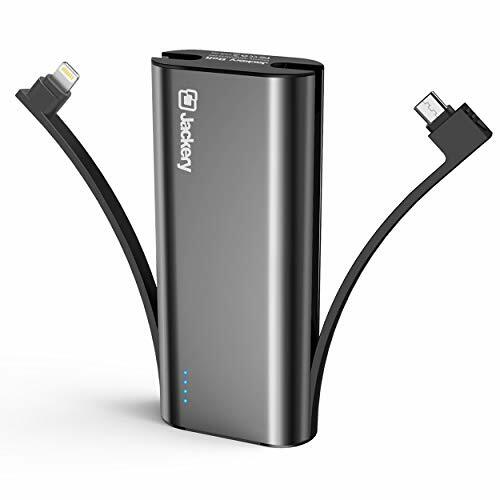 Dual Port Charging: one fast-charge type C plus one USB let you quick charge your phone and can still have some juice to share with your friend's device. Save Time Doubly: 18W power delivery and Quick Charge 3.0 type C saves your charging time doubly up to 5h. Fast input needs 3.5h compared to others 7h and fast output requires1.7h compared to others 3.4h for an iPhone XR. Always Enough Juice: always enough juice for one worry-free day out, charging iPhone 8 up to 3.5 times, iPhone X up to 2.5 times, Galaxy S9 up to 2.3 times, Galaxy S8 up to 2.3 times, iPad Air2 up to 1 time. Safety First: LG 21700 battery for over 500 charge / recharge cycles and still holds over 90% juice. Xcentz's exclusive xSmart technology to protect your devices against overcharge, short circuit, and overheat. Last 3x longer for use. 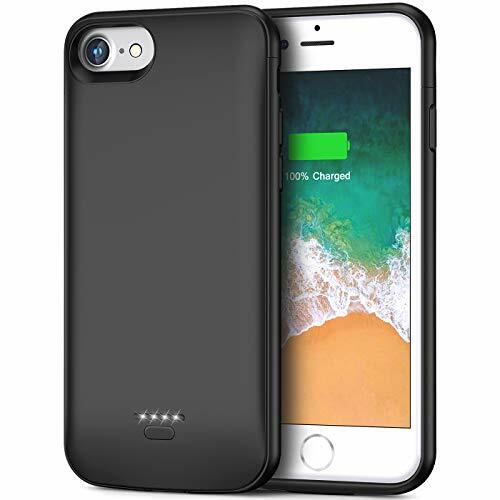 Smiphee Ultra Slim External Protective Portable Charger Battery Case is designed to improve the performance and battery life for your iPhone 6/6s (4.7 inches ONLY). ALWAYS POWER ON, NEVER OFFLINE. Charge replacement technology, add more than 150% battery life. Just feel free to use your 3.5mm headphone without audio jack extender. 100% compatible with all iOS versions, and future iOS software updates. Just press the button for one second,then the led indicator will show how much juice is left,one LED light means 25% power. Use original iPhone charging cable to charge your iPhone 6/6s and battery case at the same time, as well as sync your iPhone to iTunes without removing the battery case. When you want to charge your phone through the battery case,please be sure the phone tightly close the bottom of the case, and then press the power button about 3 seconds to start charging. Our case is manual, not automatically.Press the back button for 3 seconds to start charging. Please use Smiphee iPhone 6&6s battery case in proper temperature range(under 40 ) and do not put it under heat, source or into any liquid. IMPORTANT NOTE : ONLY compatible with iPhone 6 or iPhone 6s, NOT FOR iPhone 6 Plus and 6s Plus. What's more, Smiphee iPhone 6&6s battery case does not support Car Charger, High Voltage or Quick Charge adapters. ADD 150% MORE BATTERY LIFE : Equipped with a powerful 4000mAh built-in lithium polymer battery chip, provides extra 12 hours Internet use,19 hours talk time, 70 hours audio playback to your iPhone 6/6s. MAX PROTECTION : Raised sides and hard-shell design maximizes protection to your iPhone 6 or iPhone 6s, avoid scratching and dropping. In addition, the top piece built in with magnet helps easier installation and avoids missing. EASY TO CHARGE AND SYNC : You can charge your battery case and iPhone 6/6s simultaneously with your existing original iPhone charging cable. Also you can sync your iPhone 6/6s to your MacBook, PC or laptop without removing the battery case. Product application: electronic External Battery backup, compact power bank for iphone, Samsung, ipad, iwatch and more devices Function : Humanized design of LCD: show up automatically once it is plugged. Otherwise if it does not show up, pressing once on the power button to turn it on. It will tell you how many percentage of power left in the Power bank. Function : Dual Outputs: There are 2 USB Ports output which can be shared with your friends when two devices need to be charged at the same time. Function : Strong LED light with 3 functions : 1.Hold the power button for seconds ,the Torch LED light function is on. 2.Click the power button for 1 more time, it will switch to FLASING led light function. 3.Click the power button again, you will get a SOS signal function which may save you in some emergency situations. Power Bank With Portable Size :Super compact,Just 0.4inch thicker than iPhone 8,Easy to carry in hands or pocket.Compact 24000mah can almost charge 6 times for iPhone 8, or 5 times for Galaxy S8 ,Super Fashion LATEST design,the interface looks like a mirror. Portable Phone Charger With Quick Charge :Latest Power Supply IQ and Intelligent Voltage adjust system for Most devices.Charge two Devices Simultaneously. Equipped Two Brightness LED light .Large LCD display to show up the Remaining power percentage .Two USB-Ports output can charge two Devices Simultaneously. Special Design for Outdoor. Compact design and with a hook + Carabiner, so you can freely attach it to your backpack in camping, and it will recharge itself under direct sunshine for emergency. DC 5V/2.1A(one device, output max 2.1A), DC 5V/1A(two devices, each output 1A) USB ports for iPhone,iPad/Tablets, Android phone and other smart phones or other electronic devices. DC 5V/1.5A USB input for fast charge solar power bank itself.Allow you to charge two devices at the same time, the Solar power charger provides great convenience with you and your friends who needs charging services. 2 led lights can be used as flashlight with Steady-SOS-Strobe mode.As an emergency lighting in darkness, the flashing light mode can be used as SOS. 1.Please charge it via outlet at least 6-7 hours at first time use to fully activate this solar panel. 2. LED Working Method :LED button is on the side, near the charging ports opposite the clip.Press and hold to turn on above 3-5 seconds, the led flashlight will work.short press to cycle modes/turn off. 3.Due to sunlight intensity and solar panel conversion rate, it may take a long time to fully charge the power panel. We suggest you fully recharge it via outlet before travel or hiking. High Quality Portable Solar Charger - Made of durable and reliable ABS+PC+Silicone material,protects it from rain, dirt and shock / drops.intelligent security protection,avoid over-current, over-voltage, over-load and short circuit,etc. Solar phone charger, featured with compass and 2 bright LED flashlight. Awesome for outside activities such as camping, hiking and other emergency use. Compatible with Multiple Devices - Compatible with your iPhone, Samsung, HTC, Nexus, Go-pro Camera, Tablets and other USB devices. More than 900+ recharge lifecycle. 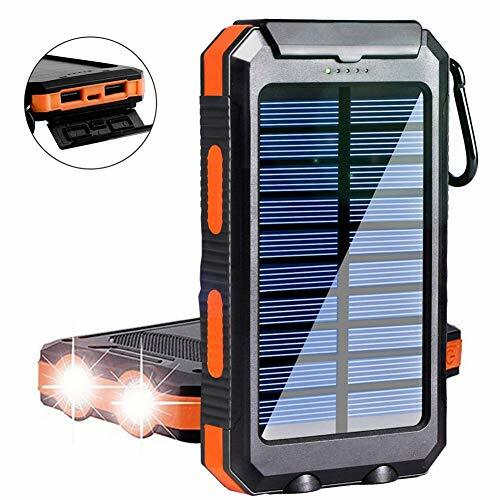 Solar Charging Travel Power bank with Flashlight / Carabiner, Very reliable and durable.Solar power bank provides more convenience in your daily or in your trip. Convenient Smart Express Charge - The solar powered charger has dual USB and powerful LED light.Makes it easy to charge two smartphones simultaneously or a tablet at full speed . 2 led lights can be used as flashlight with Steady-SOS-Strobe mode. Five pilot indicators indicate the status of battery charger timely. Green light on when charging by solar, blue light on when USB charging. Warmth Tips - Solar charging is a charging way for emergency use, and solar panel charging efficiency will be influenced by natural conditions and random factors, such as day and night,season winter and summer,geographical latitude and height above sea level, sunny, cloudy, rainy, and and so on. It's subject to sunlight intensity and panel conversion rate, which may take long time to charge.External battery charger with solar panel can recharge by solar or outlet. Best Warranty for Solar Charger - 12 months Warranty,Note: Solar charging is limited,mainly for topping off the unit,please fully charge it by USB cable before travelling or hiking. 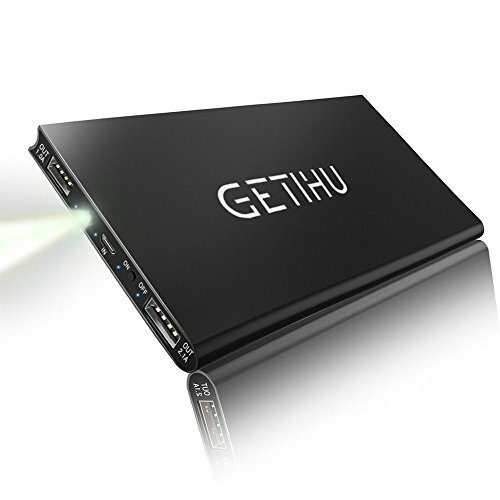 GETIHU Portable Charger, LED Display 10000mAh Power Bank, 4.8A 2 USB Ports High-Speed Battery Backup with Flashlight, Compatible with iPhone Xs X 8 7 6s Plus Samsung Galaxy Note 9 S9 iPad Tablet etc. Smart LED Digital Display Fashion and latest design for power level display. Real-time and exact status of the remaining power help you easy to control the power operating. Dimensions: 5. 69*2. 72*0. 71in Weight: 6. 7oz Ultra compact size, similar to iPhone XS. High-speed Charging & Two USB ports Input: 5V/2A, can be fully charged in about 5-8 hours. Output: Total 4. 8A(max) Output of each 2 USB port, make it charge 1. 4X faster than standard charger. Note: Not support PD/QC function. So QC/PD design phones like Samsung S9, S8, S7, Note 8 can charge at regular maximum speed but not QC mode. 3 Charges for iPhone 8 10000mAh capacity charger is more than enough for all day trip which can fully charge your iPhone 8 for 3 times. Perfect for flights, traveling, business trips and no worry about out of battery anymore. Note: Due to the power consumption, the power bank will take 2700mAh power to charge the 1821mAh iPhone 8 fully. Cool LED Flashlight Press the power button twice rapidly to turn on/off the LED flashlight. Perfect design for camping, travel, business trip and more. It will be a real help in an emergency. 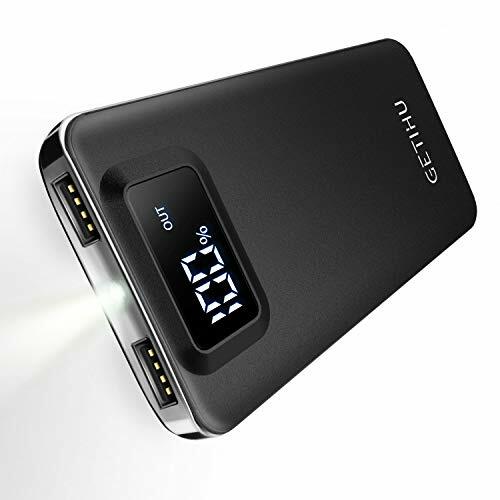 Package Includes 1 x GETIHU 10000mAh Power Bank 1 x Micro USB Cable (recharge the power bank) 1 x Travel Pouch 1 x User Manual (No iPhone cable and adapter included) Warm Tip 1. GETIHU Smart IC Detects your device to deliver its fastest charging speed (2. 4A Max) but not support PD/QC mode. So Quick Charge Design models like Samsung S9, S8, S7, Note 8 can charge at maximum regular speed but not quick charge mode. 2. The power bank is not suitable for small current (less than 0. 1A) charging devices like Bluetooth earphone or Smart Watch. Smart LED Digital Display Fashion and latest design for power level display. Real-time and exact status of the remaining power help you easy to control the power operating. High-speed charging & Two USB ports Total 4. 8A(max) Output of 2 USB ports allow you to charge your two devices simultaneously and make it charge 1. 4X faster than standard charger (Not support PD/QC function like Samsung S9, S8, S7, Note 8 QC mode). Real 10000mAh capacity 10000mAh capacity charger is more than enough for all day trip which can fully charge your iPhone 8 for 3 times. Due to the power consumption, the power bank will take 2700mAh power to charge the 1821mAh iPhone 8 fully. Cool LED flashlight Press the power button for 3 seconds to turn on/off the LED flashlight. Perfect design for camping, travel, business trip and more. It will be a real help in an emergency. Safe to charge Intelligent power manage IC protect your devices against any charging accidents. We also provide 30-Day money back , 3-Year and lifetime technical support. We won't let our customer waste their money.